This is a short tutorial on how to buy FNX tokens. 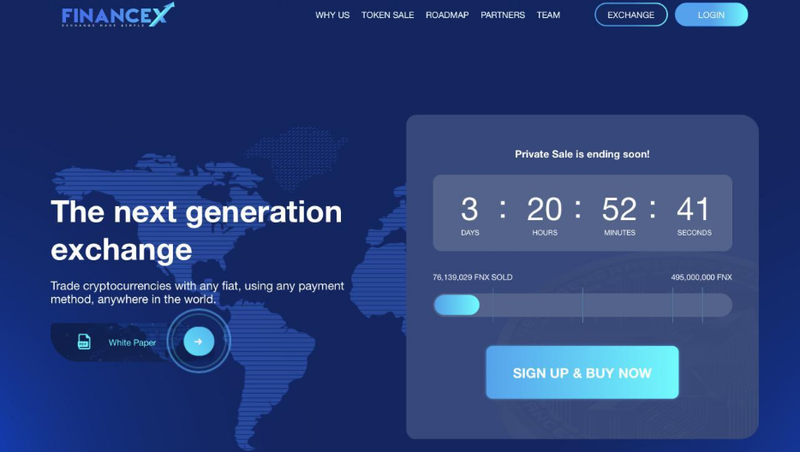 FinanceX is currently in the Presale stage so get in quick to stock up on FNX before they sell out! 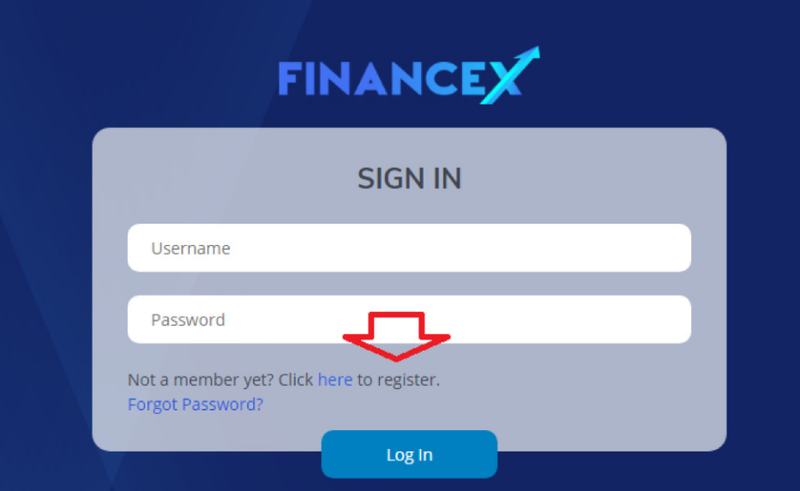 FinanceX recommends that you register early because many popular ICO’s have experienced an overload closing registrations early. An email verification code will be sent to you, enter the email code where it says “Enter Verification Code” and press Verify. 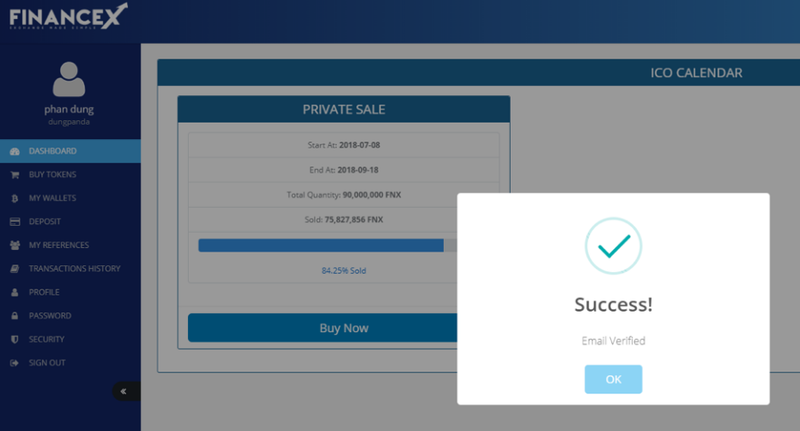 After entering the code, the screen will show that you have successfully verified. The registration is complete. Now, you can login to your account. If you want to buy tokens, you need Bitcoin or Ethereum in your wallet (if you don’t have BTC or ETH, you can go to FinanceX exchange to purchase). FinanceX exchange link: https://financex.io/). Step 2: Enter the amount of BTC or ETH you want to trade => Get wallet address => Press Deposit => Transfer funds from the exchange / application / account to wallet.